There is an old saying that time flies and it certainly feels that way. It’s been almost eight months since we were together as IDF family at the 2017 World Dairy Summit. Many things have happened at IDF over those months and I wanted to take this opportunity to highlight just a few of them to you. 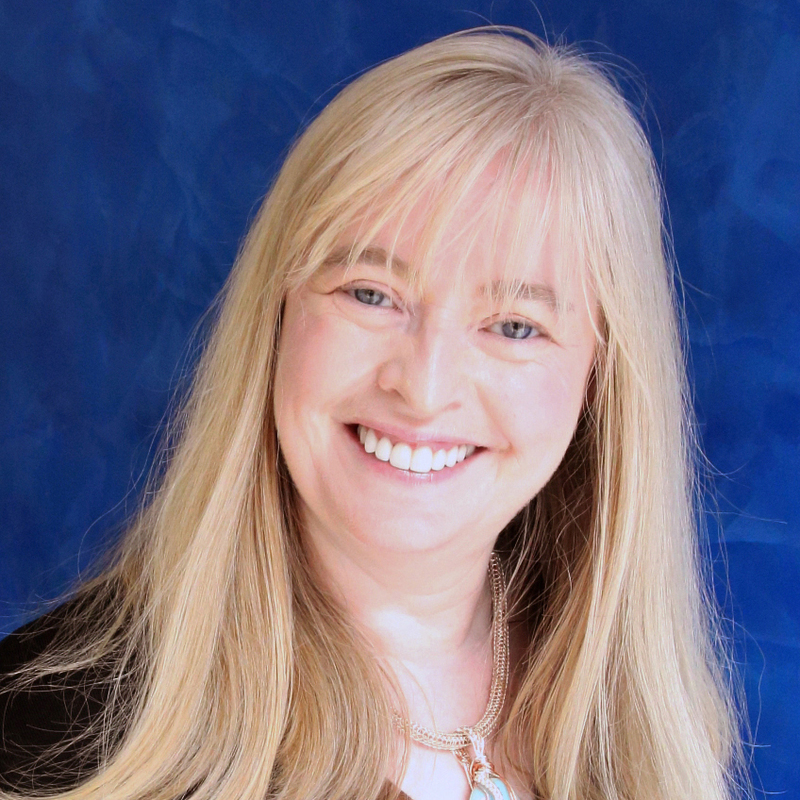 You will of course know by now that our new Director General, Caroline Emond, is in place. My thanks to all of you who have contacted her and made her feel welcome. Caroline has been doing excellent work since she took over as DG at IDF. She has been strengthening relationships with some of the intergovernmental bodies that are so important to IDF’s work, as well as building new relationships and contacts. Caroline has also been modernising the way the IDF team works, and is preparing to implement significant changes to IDF communications, including bringing on board a new Communications Director. We said goodbye to our old DG this year, thanking Nico for his service to the IDF community at a dinner held during the first IDF Head Office event on Nutrition and Sustainability in Seville. For those of you who couldn’t join us for that event, I wanted to take a little bit of time to share some thoughts and learnings from the event since it was the first run by the IDF Head Office. There is no doubt that the importance of nutrition and sustainability as an area of focus came over really well from our very strong line up of speakers who came from the FAO, the USDA, EFSA, academic institutions and the dairy sector. This event had a workshop feel about it giving delegates a lot of opportunity to network with the speakers and have all of their questions answered. Over two days, we covered a broad range of topics under the nutrition and sustainability umbrella, from environment to consumer perceptions to nutrition. The sustainable diet topic was beautifully covered during the event by three great speakers: Nicole Darmon from INRA, Brad Ridoutt from CSIRO and Olivier Jolliet from the University of Michigan. Nicole presented data showing that it is possible to reduce greenhouse gas (GHG) emissions by 60% and still maintain dairy in the diet at its current level. However, it does require the reduction in consumption of meat, fish and eggs. Brad explained why water scarcity is so important when considering a water footprint because local conditions at the point of water loss or contamination determine the degree to which ecosystems and human health are impacted (and in all of those with potential for a high degree of variability). Olivier explained the challenges of assessing nutritional and environmental impacts, and benefits of food. While there has been considerable effort to understand the environmental impact of a food or diet, nutritional effects are not usually included in food-related life cycle assessment (LCA). We know that not all nutritionists know about sustainability, and not all sustainability experts know about nutrition, and yet these topics walk hand-in-hand. The dairy sector has suffered from the fact that some published studies use poor methodologies when trying to link environment and nutrition. As a sector, we know our consumers are not reading studies but they are being influenced by what they see and hear around them. Laurent Damiens, from CNIEL, gave the audience a great overview on consumer perceptions of dairy across 27 countries. He told delegates that over the last five years, largely positive food market trends have been seen as a result of (1) economic trends such as a rise in purchasing power and economic upturn in many countries, (2) product offerings that were meeting consumer expectations, (3) a dynamic agri-food industry which offers consumers a constantly changing product selection, and (4) demographic trends such as global population growth and middle-class expansion. 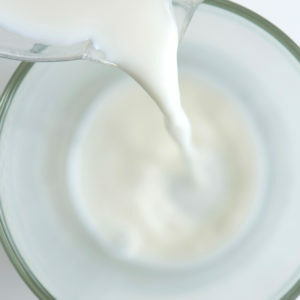 Liquid milk is becoming less popular in many countries although other products such as cheese and yogurt are increasing in popularity. He cautioned that anti-milk arguments spreading via the mass media over the past 20 years, as well as the rise of plant-based alternatives could have a significant impact on consumption. Our challenge as a dairy sector is to: (1) continue to innovate to meet consumer expectations and spread the word about these new products to as many consumers as possible, (2) continue to make simple essential products that everyone can afford and find in stores and, (3) use sustainable nutrition as a driver. The session on consumer perceptions continued with Professor Wim Verbeke from the University of Ghent presenting a survey done in five European countries. Although consumers associated health more with plant-based than animal-based foods, within animal-based foods, dairy is strongly accepted as a good source of protein. I also presented in this session. In my case, I talked about consumer perceptions and dairy promotion in the UK. In the UK, dairy alternatives are using dairy values to promote themselves and 28% of UK consumers say they are planning to eat less dairy to be healthier. Millennials often have negative perceptions around dairy. However, millennials who are thinking about having children or have young children are open to learning about nutrition, as well as loving the taste of dairy, so there is an opportunity for us to re-establish the forgotten relevance of dairy and its core values. Emily Meredith, from the National Milk Producers Federation (NMPF), spoke about consumer perceptions in the USA. She told the audience that consumers in the US now seek “sustainably sourced” and/or “responsibly produced” dairy. Investment firms are considering animal welfare when choosing whether or not to invest. The NMPF has a voluntary quality assurance programme named FARM: Farmers Assuring Responsible Management based on the ISO Standard on Animal Welfare. 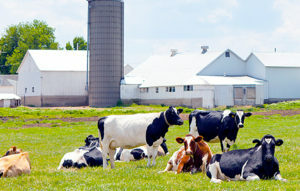 FARM offers a continuous improvement process to ensure a high level of on-farm animal care and sets the highest standards that encourages dairy farmers to continually improve. Professor Ian Givens, University of Reading, suggested that of all of the products in the dairy portfolio, yogurt appeared to have the strongest positive effect on diabetes. He also said that more attention is needed on the effects of foods, not nutrients and that so-called sustainable diets must be assessed for functionality. Silvia Valtueña Martínez from EFSA talked to the delegates about health claims, but there was nothing new on dairy. Regarding the socioeconomic impact of dairy, Eric Grande, talked about the GRI Sustainability Reporting Standards. These are to be used by organisations to report about their impacts on the economy, the environment, and/or society. He stressed that for dairy companies, IDF remains the core scientific expertise body with valued publications such as bulletins on carbon footprint, water footprint, and biodiversity assessments. He also mentioned the European Dairy Association project on the Product Environmental Footprint Category Rules and communication guidance on the environmental footprint of different dairy products. Piercristiano Brazzale, talked about sustainability from the perspective of a child. He argued that many of the methodologies used to link the environment and diet are misleading consumers because the science behind them is not transparent. Torsten Hemme from IFCN expressed his concern about milk prices. His view was that price is a driver for sustainability since for a dairy farmer economics comes first. I would say we also have to look on the other side of that coin as there is data to show that environmentally friendly farmers tend to be more efficient and benefit financially. Dacia Whitsett-Morrow from USDEC talked about the positive role milk protein could play in terms of improving lean body mass, reducing obesity risk, reducing chronic diseases risk later in life and preserving muscle mass as we age. She stressed the need for the dairy sector to communicate the beneficial impact of dairy proteins to policy makers. The IDF President has a seat on the Governors Board of the Dairy Sustainability Framework (DSF) and also chairs the Advisory Council of the DSF. During the Seville event, I addressed the audience about the role of DSF in continuing to enhance sustainable development of the dairy sector. I touched on the 11 sustainability criteria and how it connects members and reporting criteria. Anne Mottet from the Livestock Team at the Food and Agriculture Organisation (FAO) gave an excellent overview of livestock’s role in the climate change, livelihoods and resilience. She talked about the lack of understanding of the multiple benefits that investments in livestock can generate, and the fact that although climate change is a challenge for the livestock sector, it’s also a development opportunity. Anne’s talk was followed by Jorgen Eivind Olesen explaining how the dairy sector can adapt to climate change – mostly by the extension of current technologies to adapt to climatic variability. The final speech of the two-day event was given by Mary Beth Hall of the USDA who gave a wonderful and very meaningful explanation of why removal of all livestock from the US would result in nutrient deficiencies and more caloric intake, based on work she had conducted. My overall reflection on the two-day event is that it opened a door to future events of this type, and that we need to be bolder and broaden the types of speakers we bring to include our dairy farmers and maybe an NGO or consumer group for a more rounded discussion. Beyond the event in Seville, there have been lots of other things happening in IDF around a potential new MOU with the FAO, and possible new partnerships with other organisations. I have also now been trained as a dairy ambassador, and have had the opportunity to engage in a session at the UN in New York. The training was done thanks to our colleagues at GDP, where the IDF President has a seat on the Board. I look forward to attending the UN HLPE in July and taking on some meetings to get across global dairy nutrition and sustainability messages. But before then, I will represent IDF at the Food2030 in Plovdiv, Bulgaria. More info on all the items mentioned in this paragraph will come in future blogs and IDF meetings. In the meantime, I look forward to seeing many of you for the IDF mid-term meetings in Brussels in June. To those of you who won’t be joining us in Brussels, I would encourage you all to come to the World Dairy Summit in Daejeon, South Korea, in October. Myself and Caroline have just returned from a visit to our colleagues in IDF South Korea where we saw the venues you will be visiting during the summit, met with the programme co-ordination committee (who are working so hard to deliver a great programme). We also had the great privilege of meeting Mr Ban Ki Moon, former Secretary General of the United Nations. A real hero in terms of trying to deliver a decent life and livelihood for all, and a supporter of the nutrition provided by milk. I can’t wait to hear his speech at the WDS. We also had the privilege of celebrating World Milk Day on 1 June with our South Korean colleagues. I hope, like us, you enjoyed one of your favourite dairy products on World Milk Day.